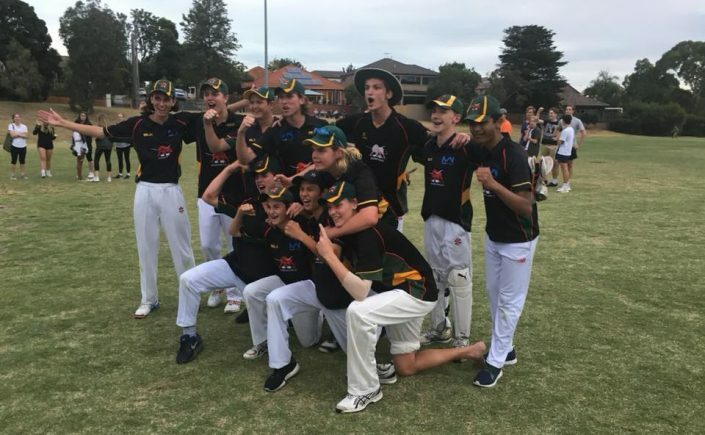 Adam Colgan captains the BUCCC under 18C team to a Premiership in the K Noy Shield. Playing at home, we batted on Day 1 for a hard fought 107 with Alex Stork 34, Travis Harrison 29 & Trent Ryan 15 the main run scorers. Day 2 started with a slow but steady stream of runs for Burwood to be 4/81 in the 29th over. Chasing 27 runs in 10 overs it seemed BUCCC would be denied victory. Conceding 5 more runs in the 30th. A great game. Congratulations !!!! Adam Colgan 9.1 O, 3 M, 3 W, 19 R.
Jack Beardsley 9 O, 2 M, 4 W, 20 R.
Jack Rider 5 O, 1 M, 2 W, 12R. Well done to all that played in the team. 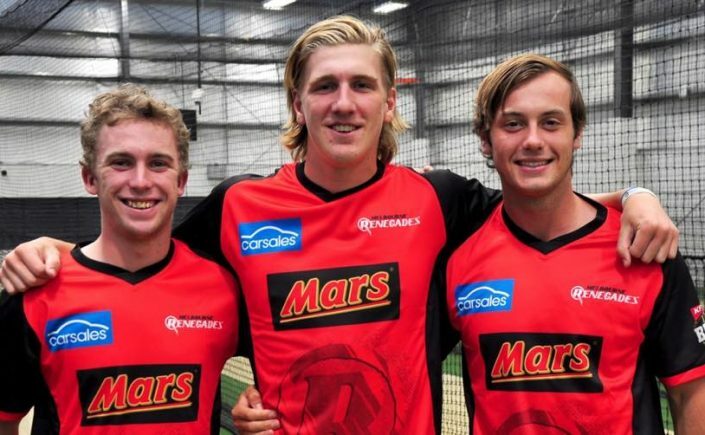 Congratulations to former BUCCC junior Zak Evans on signing a 3 year deal with the Melbourne Renegades. Zak joined BUCCC for the 2013-14 Season in the U14’s. He was quickly identified as a talent and started playing in the Seniors 7th XI. With immediate success he was soon moving up the grades and found a regular position playing in the Senior 3rd XI A Grade Shaw Shield. Playing well enough to earn a spot in the Grand Final team batting at 8th and bowling 9 overs winning a Grand Final. In 2014-15 Zak moved up to the U16 juniors and representing BUCCC in the 2nd XI in the Burt Shield Zac continued to improve. Also competing in the T20 Cup. Zak played in the U16 team for BUCC in 2015-16 also played in the Australian U17 National Championships winning the Grand Final taking 4/38 against Victoria Metro. Represented Australia in in U16 International against Pakistan taking 15 wickets. Congratulations Zak on making it to the BBL Melbourne Renegades.